With services offered in the Fort Wayne, Indiana area, Induspray is a painting contractor specializing in industrial painting. Induspray is a professional painting contractor company and uses experienced crews, and we focus on the restoration, painting, and cleaning up of older commercial and industrial buildings. 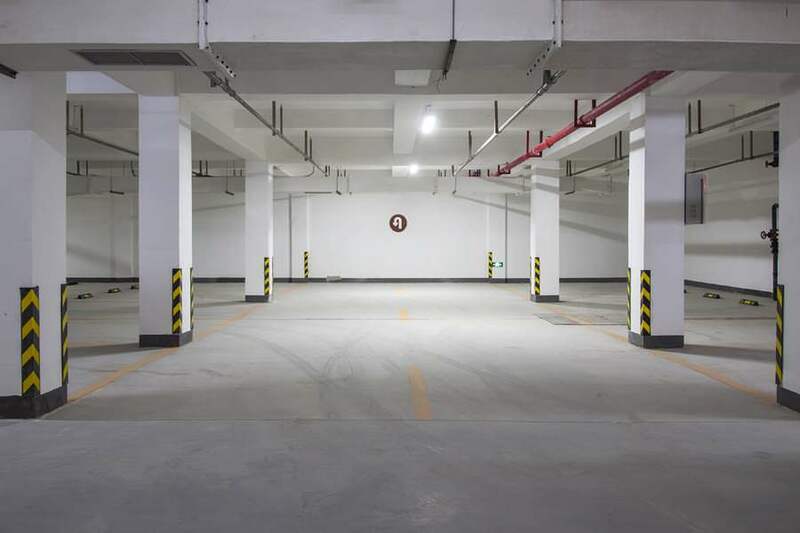 Our services have given a facelift to the interior and exteriors of numerous industrial buildings, factories, manufacturing plants, commercial buildings and warehouses. We pride ourselves in taking on the biggest projects, and accept the restoring of older, heavily-soiled facilities as a challenge. The dirtier, greasier and more worn out a building is, the better! 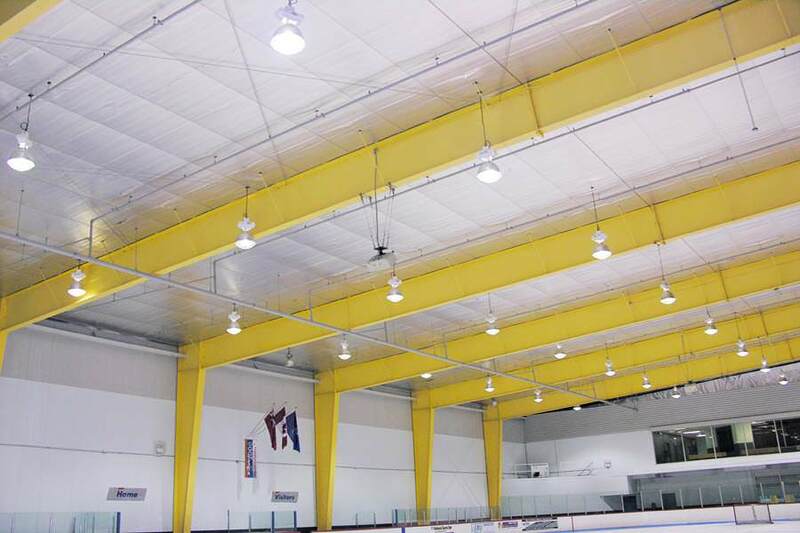 We also offer expert spray painting of large metal deck ceilings. A clean, solid surface underneath an area that is to be painted is always required, and thus it must be properly prepared. Suitable surface prep must be utilized in order for the paint and coating to adequately stick to the surface. If this is not done, the job will surely fail over time and require being done over, greatly increasing the overall project costs in order to fix it. Induspray strongly believes the job should be done right the first time, and takes the necessary steps in order to make sure that surfaces are ready for any painting or coating. 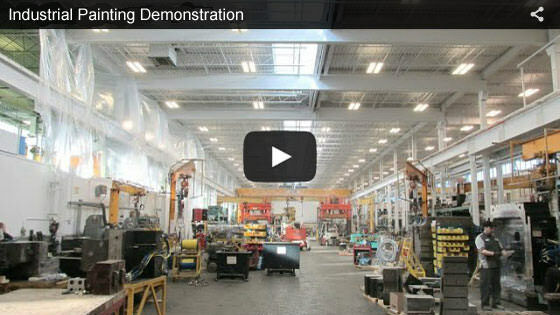 We use a number of techniques, depending upon the situation, to properly prepare the surface for the coating stage. 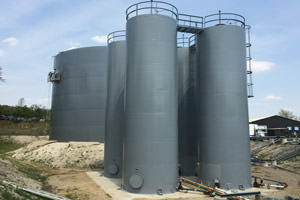 Some of the methods used include: hot water washing, steam cleaning, mechanically shotblasting surfaces, solvent cleaning, CO2 cleaning, abrasion, aggregate blasting, high-pressure water washing, and more. Induspray’s team of skilled, professionally-trained painters have the expertise needed in order to apply coatings properly. One of the methods that they are especially knowledgeable in is industrial airless spray painting. Depending upon the project scenario, the painting techniques are carefully planned in order to produce optimum results. 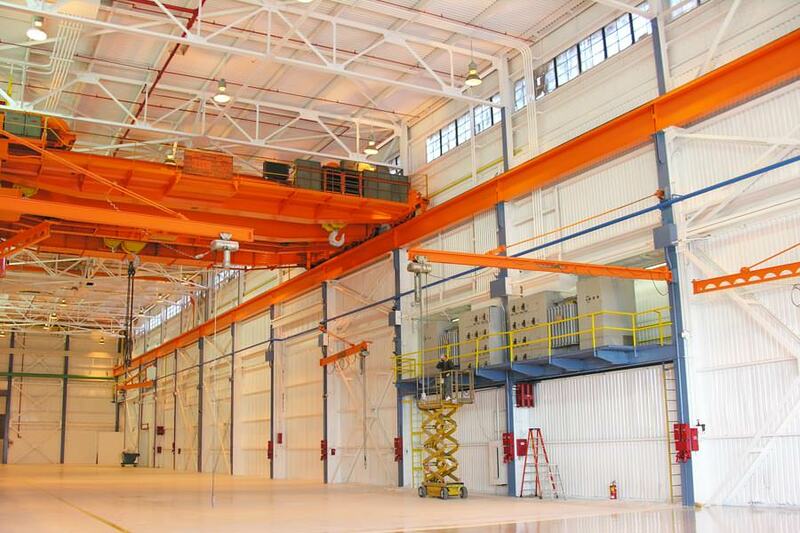 As industrial painting professionals, we perform painting work in the Ft. Wayne area in many industrial sites which may include interiors that have areas that are difficult to reach or exteriors which are high. 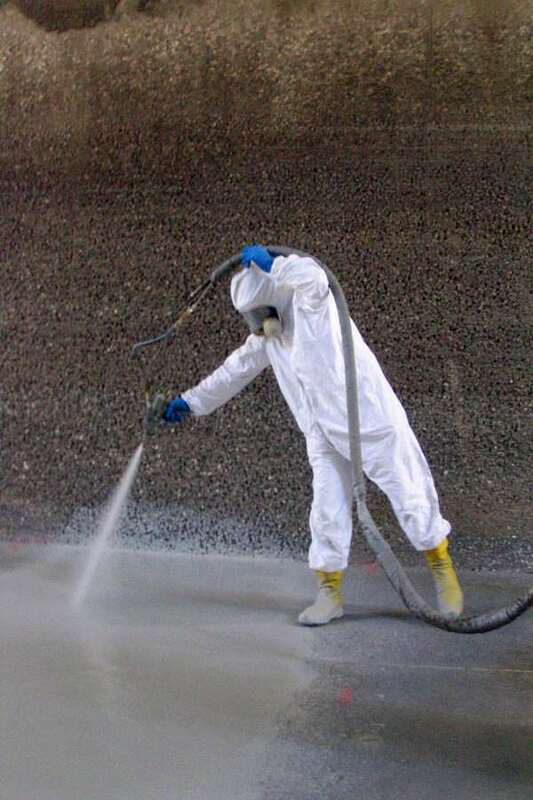 Induspray’s painting crews utilize appropriate hoists, lifts, booms and other access equipment in order to safely and effectively complete our painting projects. High-performance coatings and paint are all that we use at Induspray, and we have a wide array to choose from. We determine which is best for each job based upon its expected lifespan, the local environmental conditions, and the customer’s budget. 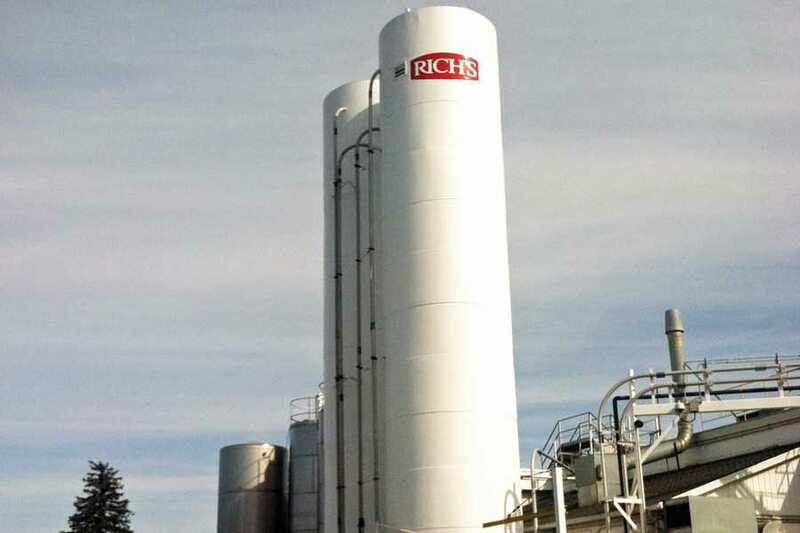 Upon analysis of the project, we choose from several types including: urethanes, enamels, polyurethanes,, alkyd coatings, latex coatings, epoxies, high-adhesion coatings, LEEDS-certified coatings, rust-inhibiting coatings, quick dry paints, and slip-resistant coatings. We choose the paint system for the job that will performance the best, while also being cost-effective. We carefully analyze the situation further for exterior projects which must stand up to the sometimes harsh climate and weather in the Fort Wayne and Indiana climatic zone. 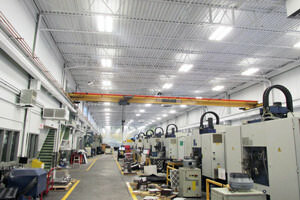 Induspray leads the way for industrial painting contractors in Fort Wayne, Indiana. Since 1975, Induspray has employed the best industrial painters in the business, tackling all types of painting projects across Indiana. Induspray’s keen project administrators, highly capable painters, and outstanding suppliers ensure your project is finished properly, on time, and within budget. 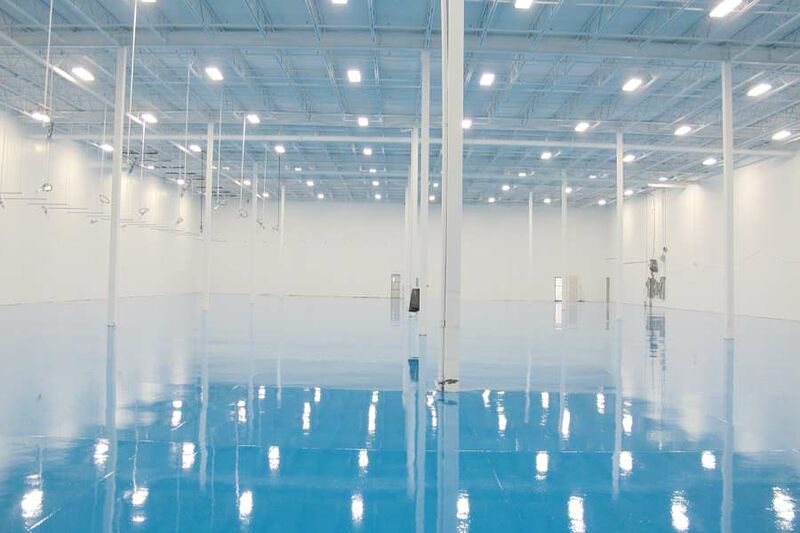 Induspray completes over a million square feet of industrial painting each year, and this requires using a lot of paint, coatings, and other materials. Because our suppliers know we purchase large amounts of paint, we receive a large discount for our high-volume purchases. Typically a project’s greatest expense is supplies. We care about our customers, and it shows by us passing on much of the savings to you. 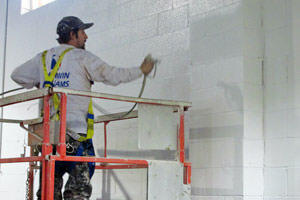 Your painting project deserves to be completed by top commercial/industrial painters in Fort Wayne. If you are comparing prices and choices, we’d be glad to assist you. 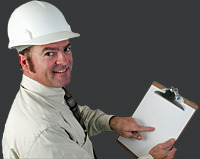 An Induspray rep will carefully examine and consider your project needs, and additionally schedule an onsite job site appointment if required. Induspray will then use our professional judgment and experience to prepare a proposal with an optimized price estimate, and project options that are custom-fit to your unique painting needs. Always-free, no-obligation estimates are included as part of our services, so why not contact us today? Our local Fort Wayne, IN service area includes greater Fort Wayne plus nearby New Haven, Hessen Cassel, Arcola, Auburn, Columbia City, Huntertown, Huntington, and Leo-Cedarville located in Allen County, Indiana. "Induspray just finished spray painting all the ceilings and walls in our Fort Wayne warehouse. The project was finished in a timely and efficient manner. We are pleased to recommend them for their quality of work, professional attitude and cost-effective pricing." "It's refreshing to see a painting contractor company that actually shows up on time. From our initial phone call to your onsite visit with me, I felt that you not only knew what you were talking about, but also cared about our needs and completing the project on time. That's exactly what happened, and you clearly delivered on all counts. Many thanks to your entire Induspray team for a job very well done." The city of Fort Wayne, IN is located in northeastern Indiana, and it’s population is approximately 260,000. It is home to a number of businesses and industries, including manufacturing companies, warehousing/logistics firms, and a range of small/large industrial companies. The area is served by several industrial painters.